Cranberries have been used for hundreds of years as both a food and a medicine, particularly for the help they offer in urinary-tract infection prevention. While pregnant women are at higher risk for UTIs, it may not be advisable to take cranberry in pill form during pregnancy. Always check with your practitioner before taking any herbal supplements while pregnant. The cranberry is high in antioxidants, in particular vitamin C. Antioxidants neutralize free radicals, or particles that can damage cell membranes and cause cell death. Early research indicates that the antioxidants in cranberries may help to prevent heart disease by lowering LDL cholesterol levels and preventing plaque buildup in the arteries. Cranberry might also help inhibit the growth of certain cancer cells; however, further research in this area is needed. Cranberry might also help to prevent the sticking of bacteria that cause stomach ulcers and periodontal gum disease, according to new research. Cranberries play a role in preventing UTIs caused by Escherichia coli (E. coli). Research has shown that drinking cranberry juice cocktail can help prevent UTIs in pregnant women and elderly women. Cranberry prevents the bacteria from attaching to the walls of your urinary tract. There is less effect when the bacteria has already attached to the cells of the urinary tract, so cranberry is less effective at treating UTIs. Some clinical research also shows that cranberry-containing capsules, or pills, can be effective at preventing UTIs. Pregnancy increases your risk of UTIs starting at week six and going through week 24, due to changes in the urinary tract as the uterus grows. The increased weight of the uterus can block the drainage of urine from the bladder, which can lead to infection. If a UTI is not treated, it can lead to a kidney infection, which can ultimately cause early labor and a baby with low birth weight. As long as the UTI is treated early, the baby will not be harmed. Herbal supplements should always be taken with care and under the supervision of a doctor or health care provider, especially when you are pregnant. Many medical professionals do not recommend taking any herbal supplements during pregnancy, due to their unknown safety. Cranberries and cranberry juice are safe to take during pregnancy, but many practitioners advise against taking dietary supplements that contain cranberry products, as it is not know whether or not they are safe. If your doctor advises you against taking cranberry pills while you are pregnant, there are other methods to preventing UTIs. Make sure to drink at least 48 to 64 oz. of water each day, as well as drinking cranberry juice regularly. Eliminate refined foods, high-sugar foods and drinks, caffeine and alcohol. Urinate as soon as you feel the need and make sure you empty your bladder completely to prevent any bacteria from forming. 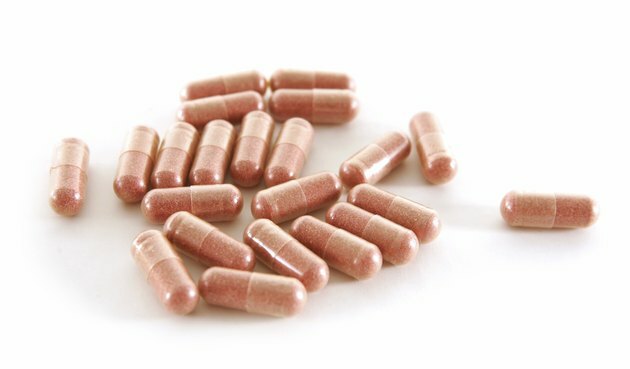 Can Cranberry Pills Cause Excess Urination?